This is certainly a constructive approach, and the willingness of Gary, Jacqueline and Louis to share speaks volumes about the community spirit in play here. 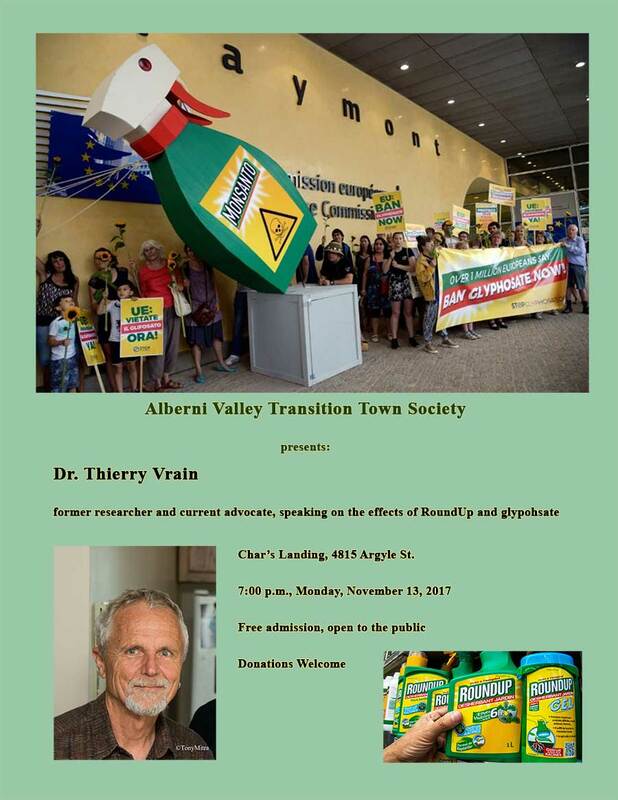 Not too many out on a stormy night to hear soil biologist Thierry Vrain speak on glyphosate, how it interacts with weeds and GMO crops, how its uses have developed and expanded over the years, its pervasiveness in the food system and how it affects humans and other animals. It’s very engaging material and laid out in a calm and logical order (one attendee noted that all the jargon was explained in a way that made the whole presentation very understandable for a lay person), but the implications are far-reaching and worthy of consideration. 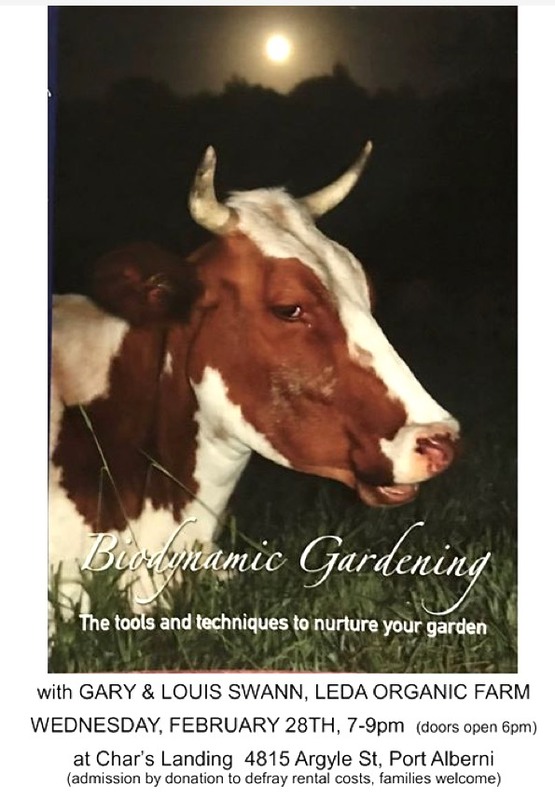 Here are a few links to most of the material, and Dr. Vrain noted that he has written a chapter for an upcoming book that he will share with those interested. I will ask for a copy to share with those who want me to e-mail them a copy. Review in EcoWatch of a book recommended by Dr.Vrain. Researchers who study the friendly bacteria that live inside all of us are starting to sort out who is in charge—microbes or people? Shaun Loney presentation: Full schedule for Shaun. His message fits well with Transitions ideas on business, food security, health, housing and energy. Get there early! Echo, 7:00 p.m., November 30. -Vrain presentation: not terribly well attended, but those who did attend got lots to chew on. Follow-up published on line. Housing: initiatives splintered off in different directions. Little coherence and no single strategy or central funding initiative. – Gleaning – officially wrapped up for the season. Final report submitted at ACRD. –Maps arrived and are now available for distribution around town – yay! –Nov 20 – City Council Committee of the whole meeting about Active Transportation. Big Meeting at City Hall. 7pm. If you are interested in having safer biking and walking in Port Alberni PLEASE Go to the meeting and share your support. STAMP AVE bike path will be discussed. Aspirations! What projects need doing? What interests you? What will interest a broader constituency? Let’s kick some ideas around in the run-up to the AGM in January. 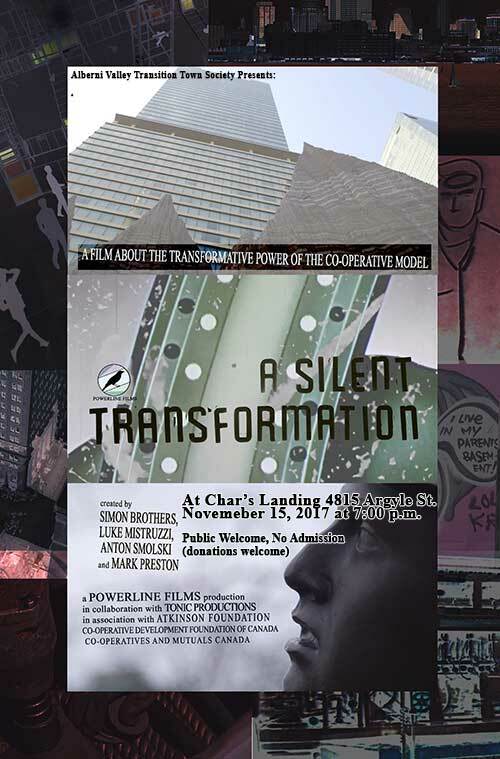 Adjournment and screening of A Silent Transformation.